That was my first thought as I rolled into the breakfast session at Mumbrella360 this morning. But, as expected, the amount of exhibitors’ signs wasn’t the only thing that blew me away from Day 1 of the conference. 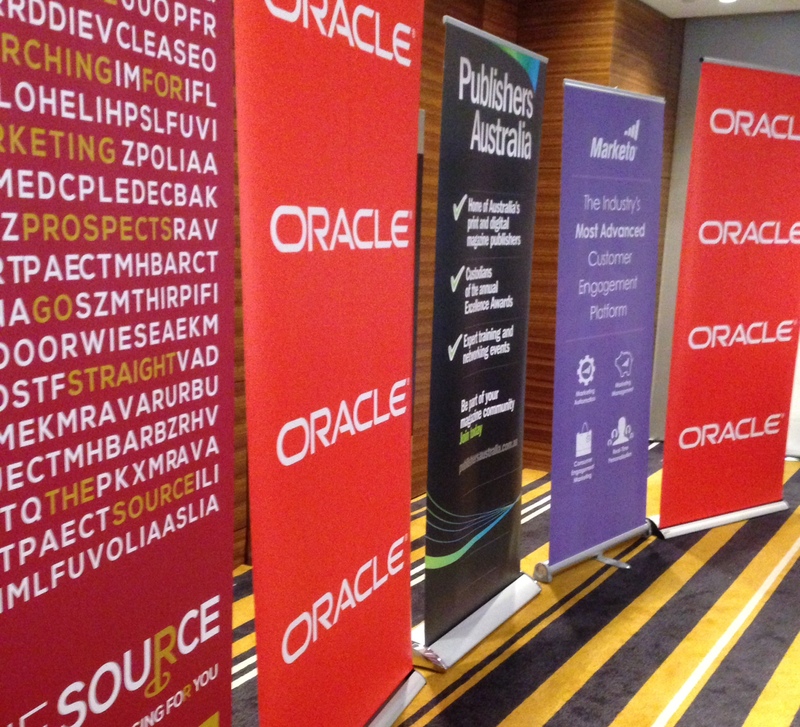 It truly was a who’s who of the Australian advertising, media and marketing industries, with each and every speaker offering insights I’d never thought of before. I went to sessions that included speakers from Droga5, DDB, Lowe, Y&R, Havas, The Works, Omnicom, M&C Saatchi and R/GA – pretty much a roll call of the best creative shops in town (except for JWT of course!). And just as interesting were the senior staffers from content organisations and media agencies. Here’s a summary of three key themes I took away of Day 1 and a few links to where you can find out more to get some inspiration for yourself. I’ve just touched down in Sydney and am excited to say that I’ll be attending the Mumbrella360 conference over the next couple of days. The conference brings together some of the greatest minds in marketing, media and entertainment from around Australia and I can’t wait to get stuck in. This new app from Puma was launched recently in Japan to help promote the launch of a new running shoe by the brand. On the face of it, this app could look like a late effort to go up against the hugely successful Nike+ app that was launched way back in 2006, or dismissed as just another fitness tracker app clogging up the App Store. But the guys at Puma are smarter than that. Here’s one if the best wraps of the recent 2013 Cannes Festival of Creativity that I’ve been able to find online. This slide deck is from Digital Buzz Blog (a must-read website for anyone interested in digital marketing) and covers off on all the highlights from the biggest advertising award show on Earth. So, if you’re stuck and in need of some inspiration, check out these slides for the greatest ideas the world’s best advertising minds have to offer. You won’t be disappointed.